Sometimes I like to feel like a little girl again. And I definitely do in this outfit. Here’s another look featuring Valfre. I just can’t get over her quirky drawings and cute designs. I styled this Bruno muscle tee with a high waisted peplum skirt and some cute Mary-Jane inspired shoes. I never dressed this girly as a kid. My mom dressed me in sweatsuits from Chinatown with meaningless phrases like “HAPPY TIME”. I have the photo to prove it! This look is a far cry from my outfits from those days. It’s got me feeling like a preppy goth girl and I ain’t mad about it. Check out more cute stuff from Valfre here! 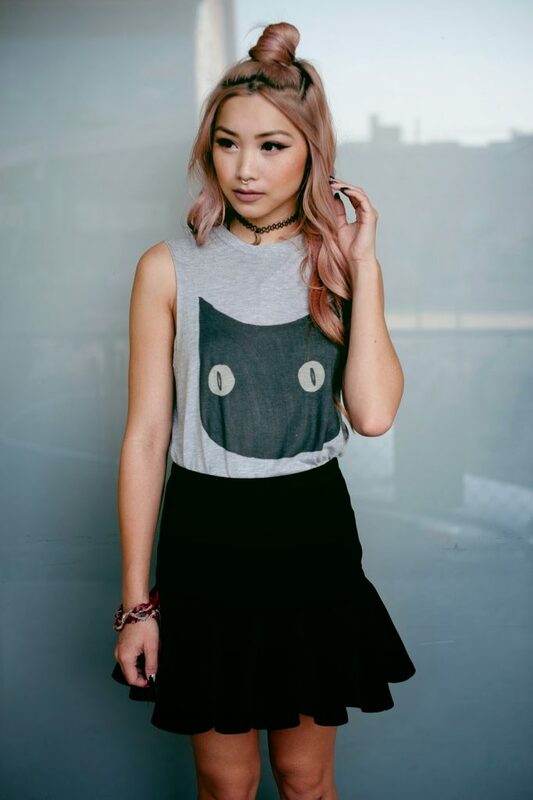 love the cat design on the tee!